6235 1840 Energy FM - 35444 ID jingle, “Please Don’t Go” by K.W.S. 6393 1936 Pandora (UK) - 25332-3 jingle for Terry’s Radio Blog (! ), ID, “Shooting Star” by Dollar. Good to hear Pandora again after a long break because of no short skip conditions. 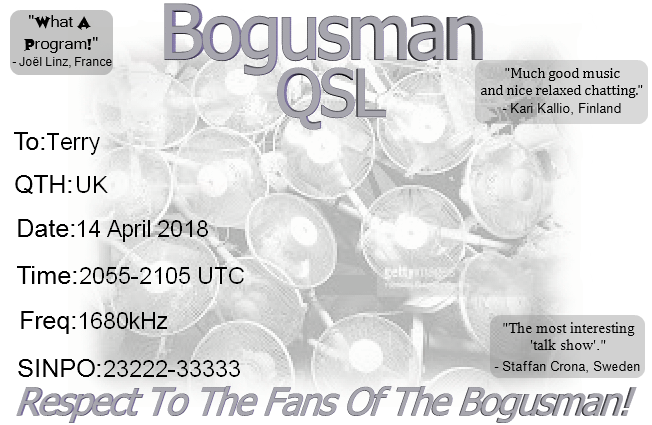 Bogusman eQSL for reception on 1680 kHz @ 2055 on the 14th April 2018. Thanks QSL helper! Who makes the QRM to pirate stations on 48 metre band? 3920 2011 Mustang - 35434 ID, chat in Dutch, “Sunrise” by Milk Inc. 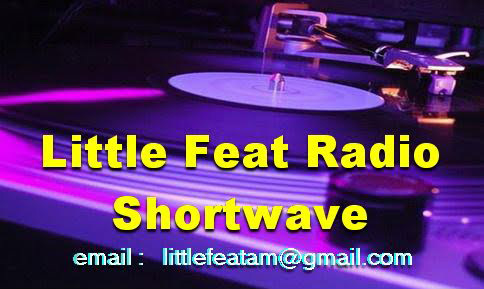 I could not hear any stations on 48m, so I took a quick listen on the Twente SDR in Enschede, NL and I heard 6205 Laser, 6285 Coast FM and 6310 Harmony around 1900 UTC. Clearly propagation is up to its medium to long skip tricks again. 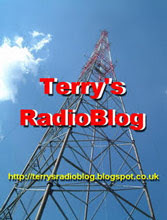 I heard a station on 1647 with strong signal which I assumed was Keizer en Keizerin, but no ID was heard. I have included an UNID in the log (which I do not normally) because it was playing a Radio Caroline heritage programme.